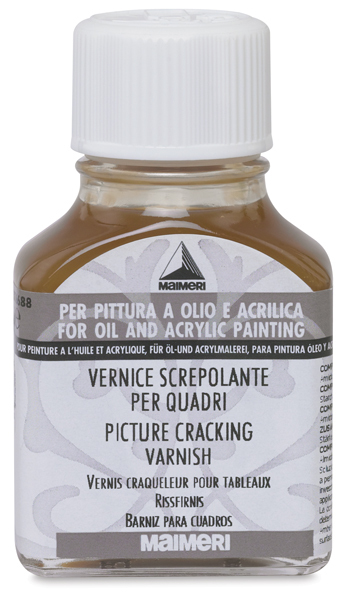 Maimeri Picture Cracking Varnish is a ready to use amber solution that gives paintings and other objects an antique, cracked look. 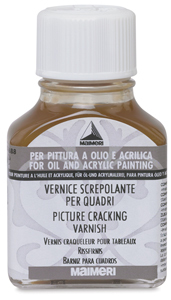 Brush over a surface treated with Maimeri Patina Varnish. Once the cracks are formed and blackened, apply another coat of Maimeri Patina Varnish. Temperature and humidity will affect the size of the cracks. Housed in a glass bottle with twist-off cap.